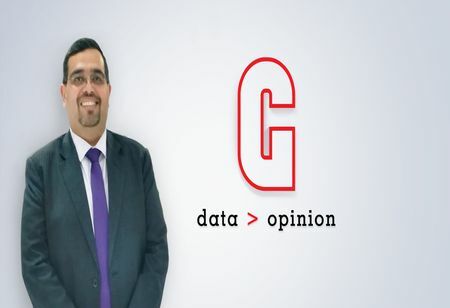 With the recent fintech boom in Qatar, Goals101 Data Solutions, one of India’s leading Fintech & Big Data Technology platforms opens their new full-fledged office within the exclusive Qatar Financial Centre (QFC), Doha. The new office will be targeting the banks that are increasingly looking at the potential benefits of financial technology and digital platforms. Goals101 is now the first and only Indian Fintech company in Qatar, and acts as the technology disrupter redefining next generation intelligent banking by focusing on the transactional behavior, location and social intelligence. On this occasion, Visham Sikand, Founder & MD, Goals101, comments, “We are delighted to establish our new office in Qatar Financial Centre (QFC), Doha which will strengthen our existing operations and help serve this key market while we lead our expansion into other countries across the Middle East and Africa. Our proprietary platform ‘Alpha’ is powered by machine learning and artificial intelligence and has been designed by some of the leading data scientists in the world”. Being a global business and financial centre, Qatar Financial Centre’s onshore platform offers opportunities to expand to and from the Middle East. Speaking about Goals101’s new office, Yousuf Mohamed Al-Jaida, CEO, QFC Authority, says, “We are delighted to welcome Goals101 Data Solutions to the Qatar Financial Centre (QFC). The firm joins over 570 other companies that are benefiting from the QFC's unique business model, and the world-class legal, regulatory, tax and business infrastructure it offers. Our commitment to the success of all firms operating on the QFC platform remains one of our highest priorities, and we look forward to continuing to facilitate their business growth in Qatar and beyond”. As a Transactions Behavior Intelligence company (TBI), Goals101 believes that performance driven analytics is key to the growth of an organization. ‘Alpha Platform’, a highly intelligent and scalable solution has already garnered 21 leading banks in Asia as Goals101’s clients. With a global presence across Africa, Middle-East and Asia, Goals101 is headquartered at New Delhi, India and is one of the fastest growing big-data platforms in the region.